The epic tale of Bethune and a group of Volunteers who made a dramatic stand against Japanese Whaling in Antarctica. This roller coaster ride takes you to the heart of the pivotal year when the World woke up to whaling. Destroyed boats, Destroyed reputations, Secret Missions, Clashing of Egos, and all in the most inhospitable place on earth. SKU: 106. Category: e-book. 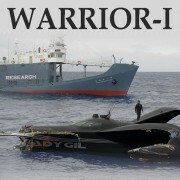 Tags: antarctica, anti-whaling, earthrace, ebook, japanese, minke, pete bethune, whale warrior, whaling. 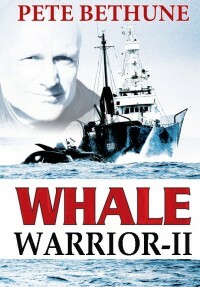 2010 was a pivotal year in the Anti-Whaling movement, as Bethune and Sea Shepherd found themselves embroiled in pitched battles against Japanese Whalers in some of the most treacherous waters on earth. 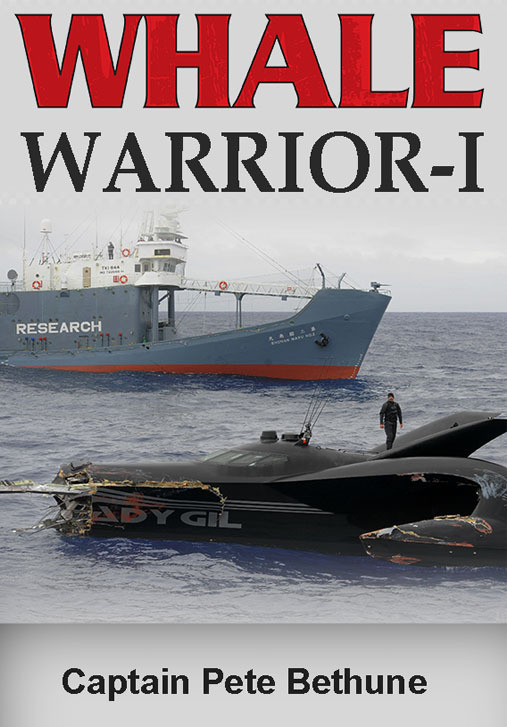 In an event that rocked the conservation world, the super-boat Ady Gil was rammed by the Japanese Security vessel. What happens next however is even more astonishing, as orders come through from Bethune’s boss. Finally, Bethune attempts to board the Security Vessel and present its Captain with a bill for replacing his vessel. 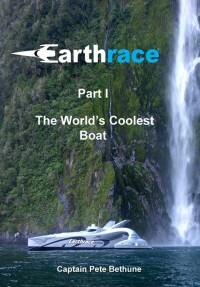 A covert mission on a ski, in the middle of the night, on the harshest waters on earth, and onto a security vessel brimming with anti-boarding measures – What could possibly go wrong?